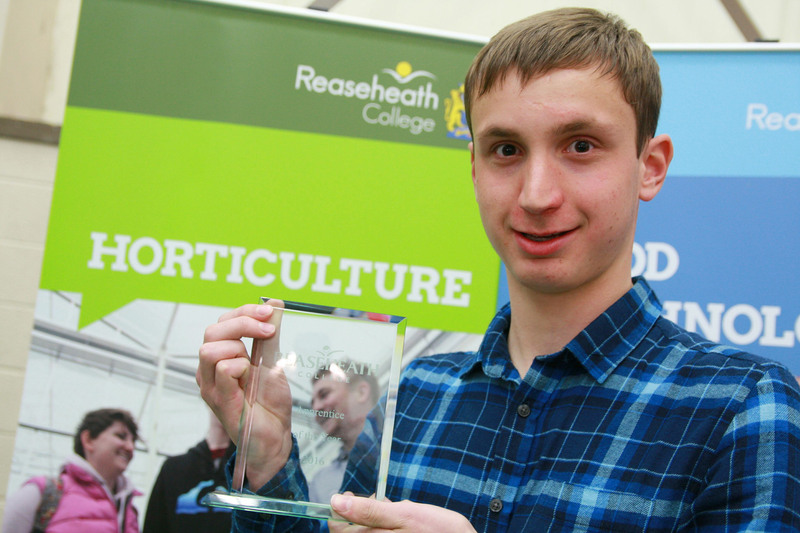 An apprentice greenkeeper at the Royal Liverpool Golf Club, Hoylake, has been crowned Reaseheath College’s ‘Apprentice of the Year’. Peter Lewis, 17, from Heswall, received his award at a college ceremony held during National Apprenticeships Week, a celebration of the benefits which apprentices bring to businesses and to the national economy by increasing productivity and providing workforce succession. Peter was one of 150 apprentices who have gained their qualifications at the Nantwich, Cheshire, specialist college in the past year. He is one of a team of 11 who maintain the championship course at the world famous venue. Eight of the staff are former sports turf apprentices who have been trained by Reaseheath College. Royal Liverpool Links Manager Craig Gilholm, who is mentoring Peter through his training programme, said: “Apprenticeships work well for us. 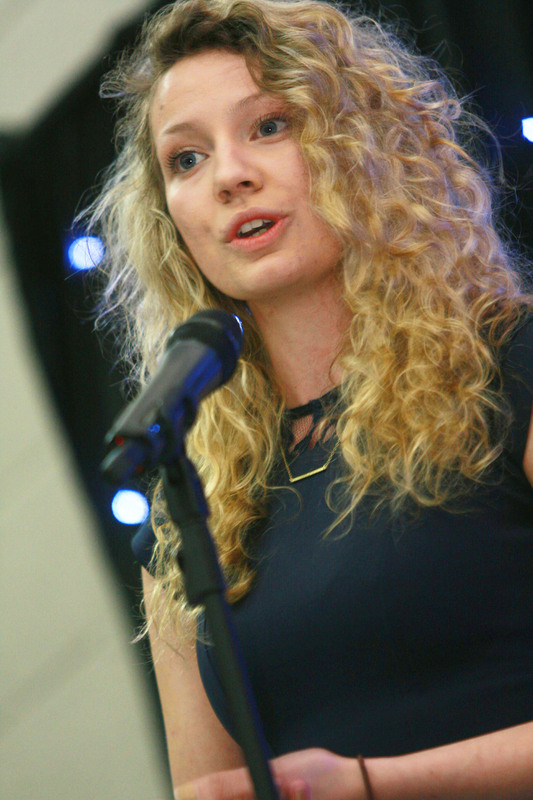 They attract committed young people who are keen to learn ‘on the job’ and who quickly become key members of our team. The qualification is well respected by employers because they know that apprentices have proven, practical skills as well as understanding the theory of their subject. Peter, a former pupil of Kingsmead School, Hoylake, has completed his Level 2 Apprenticeship in Sports Turf and has now progressed onto his Level 3 Advanced Apprenticeship. 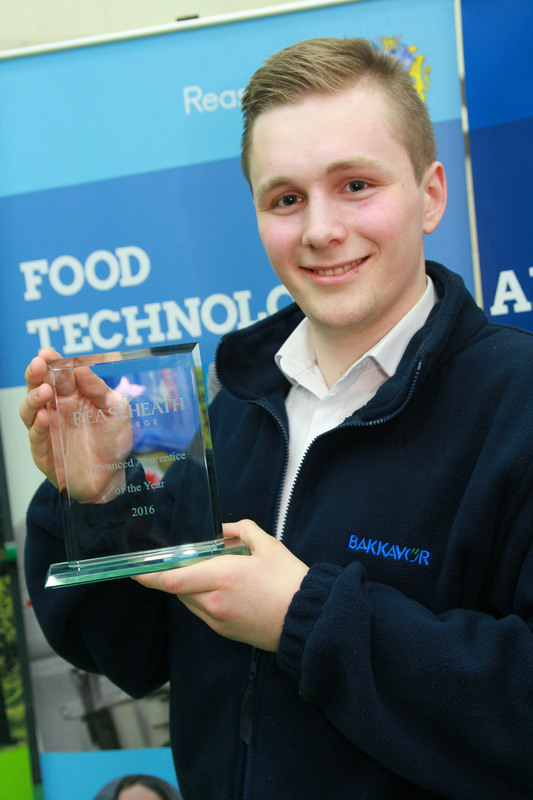 He attends Reaseheath once a week to learn academic and practical skills and is supported by college assessors at his workplace as well as by his colleagues. He has worked at the Royal Liverpool Golf Club for two years, during which time he has helped to prepare the course for the 2014Open Championship and other major tournaments. Highlights of his career so far have been meeting 2014 winner Rory McIlroy and fellow professionals Sergio Garcia and Rickie Fowler. A keen golfer himself, Peter has always wanted to work at a world class golf course and started to gain work experience at courses in Heswall during school holidays.